Swinging in the backyard on a warm day! 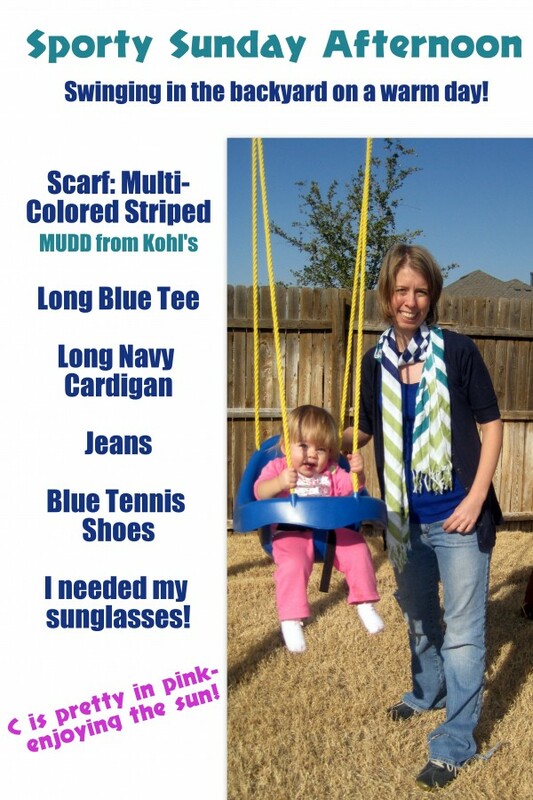 Scarf: Multi-Colored Striped- MUDD from Kohl’s, Long Blue Tee, Long Navy Cardigan, Jeans, Blue Tennis Shoes, I needed my sunglasses! C is pretty in pink- enjoying the sun!